Black Friday Deals And Holiday Sweaters In The Britney Store! 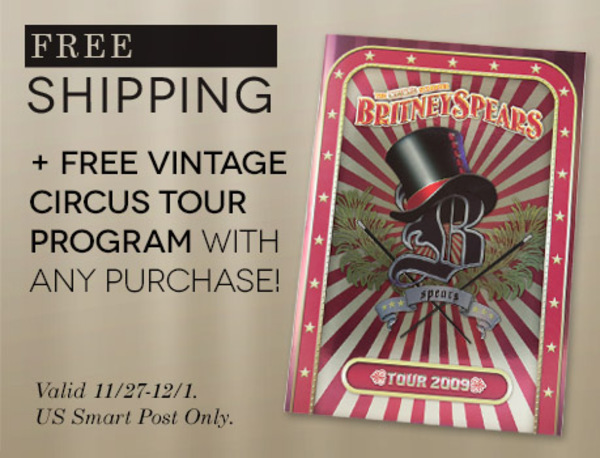 You can get free shipping + a free vintage Circus Tour program with any purchase NOW until December 1st! While you’re in the store, snag a limited edition holiday pullover! They’ll only be available until December 2nd, so get shopping, Britney Army! Click here to browse the store!